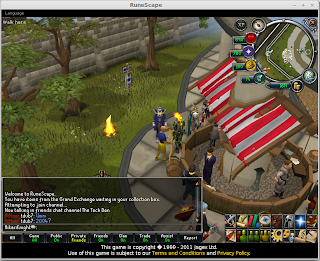 RuneScape is a fantasy massively multiplayer online role-playing (MMORPG) web based online game. According to Wikipedia, the game has approximately 10 million active accounts per month, nearly 200 million registered accounts, and is recognized by the Guinness World Records as the world's most popular free MMORPG. The game can run in a browser, but there are also downloadable clients for Windows and Mac, but not for Linux. 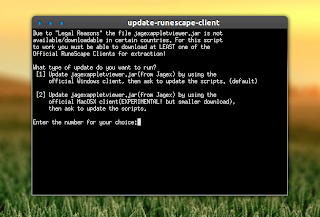 However, there is an unofficial Linux port of the Windows RuneScape client (the game launcher is opensource, the client file jagexappletviewer.jar is closed source, but it's allowed to be used in ports if anyone decided to make one) which includes fixes and performance tweaks along with working language settings. The unofficial Linux client is a bundle of perl scripts that replicate the Windows client behaviour like reading the parameters to use from a .prm text file and also, it makes sure that OpenGL works when using Java7/OpenJDK7 which, according to its developer, is an issue for Linux users due to Java being unable to find its own libraries without wrapping it inside the LD_LIBRARY_PATH. Without this, Linux users would have safemode available as the display mode, which gives about 4fps. 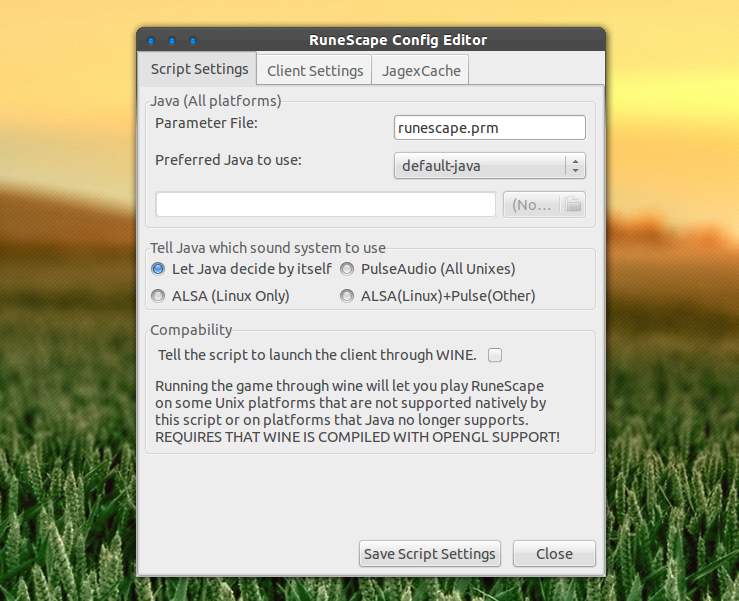 The package also includes a RuneScape Client Settings GUI which lets the users change some script and client settings, as well as a jagexcache cleaner. 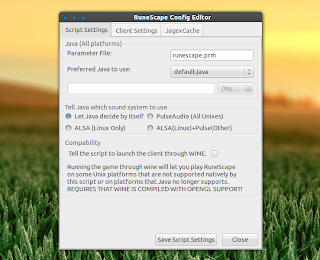 Note: the "unix-runescape-client" package is a dummy package which will install OpenJDK if it is not installed so if you want to use a custom Java package (Sun/Oracle Java) without installing OpenJDK you can just install the "runescape" package instead. 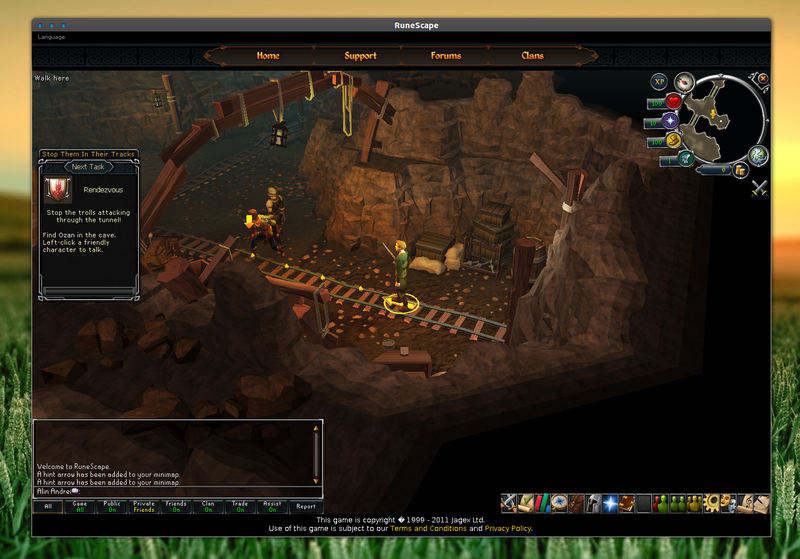 There is also a video on how install the RuneScape client in Ubuntu, HERE. 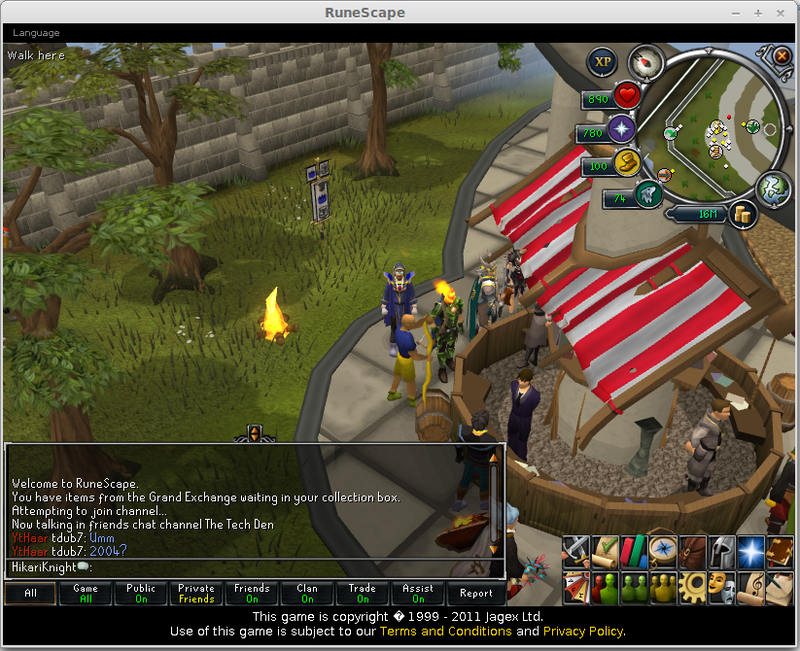 After the installation completes, run RuneScape from the menu / Dash. The first time you run the RuneScape launcher, a terminal window will be displayed which lets you select the official (.jar) client you want to use and once the download finishes, you can launch RuneScape. The unofficial RuneScape Linux/Unix Game Client developer mentions that the game runs dramastically faster in 32bit Java than on 64bit Java on Linux because the client jvm (hotspot client) is not available for 64bit. There are some known issues when running RuneScape on Linux, but there are also some fixes available - check them out on the RuneScape wiki. 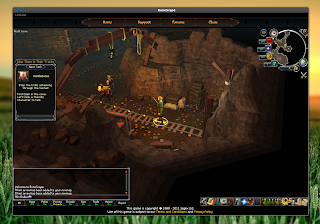 To install the RuneScape Linux/Unix client on other Linux distributions, see THIS forum post. Thanks to HikariKnight for the tip and all the info!